Wow! One of the most famous star explosions captured by the Hubble Space Telescope — several times — shows clear evidence of expansion in this new animation. You can see here the Homunculus Nebula getting bigger and bigger between 1995 and 2008, when Hubble took pictures of the Eta Carinae star system. More details from one of the animation authors below. “I had the idea to check the Hubble image of Eta Carinae because I know this star rather well,” wrote Philippe Henarejos, one of the authors of the animation, in an e-mail to Universe Today. Henarejos has written several times about the star for the magazine he edits, Ciel et espace (Sky and Space) and also published a French-language book on star histories. Along with colleague Jean-Luc Dauvergne, Henarejos tracked down two images in the archives and searched for a fixed object that wouldn’t be moving as the expansion occurred, which they decided would be two stars close to the border of the field of view. Then Dauvergne found a third image that clearly showed the expansion happening. The two gentlemen then verified their findings with astronomer John Martin from the University of Illinois, who maintains a page on Eta Carinae. “He told me that the expansion is real,” Henarejos said. And the animation is already getting attention. After being published in the new magazine First Light, it was featured today on the Astronomy Picture of the Day website. 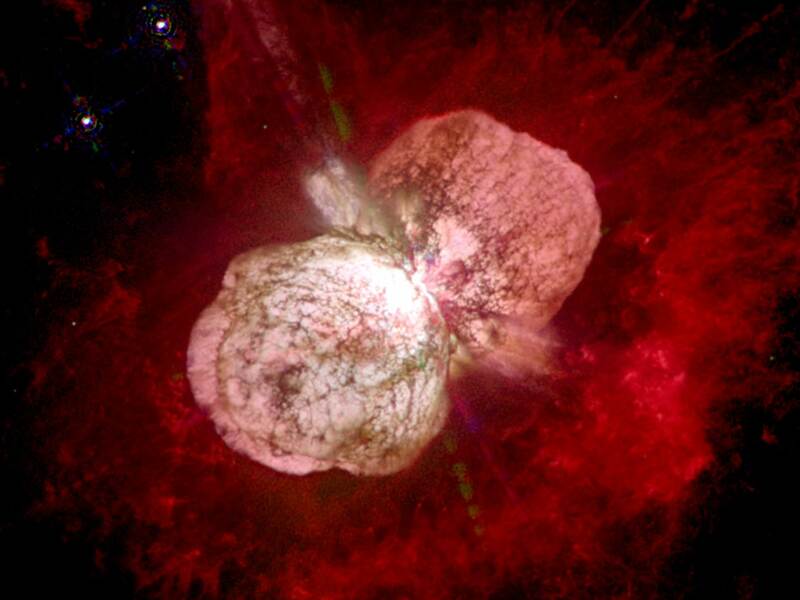 Eta Carinae mysteriously brightened about 170 years ago, becoming the second-most luminous object in Earth’s night sky. Then it faded 150 years ago. Astronomers are still examining the system to see what might have caused this.